Imbolo Mbue is a native of the seaside town of Limbe, Cameroon. She holds a BS from Rutgers University and an MA from Columbia University. A resident of the United States for more than a decade, she lives in New York City. 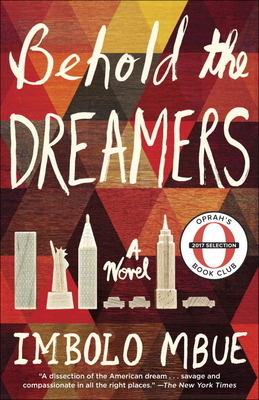 Behold the Dreamers, her critically acclaimed debut novel, won the 2017 PEN/Faulkner Award for Fiction and was named by The New York Times and The Washington Post as one of the notable books of 2016. It was also named as a best book of 2016 by NPR, Kirkus Reviews, the San Francisco Chronicle, The Guardian and the St. Louis Post-Dispatch. The novel also won the 2017 Blue Metropolis Words to Change Prize.